David Bowie's new album, “The Next Day,” has debuted at No. 2 on the Billboard 200. Billboard reports Bowie landed in second behind Bon Jovi, who scored their fifth No. 1 album with "What About Now" after opening week sales of 96,000. 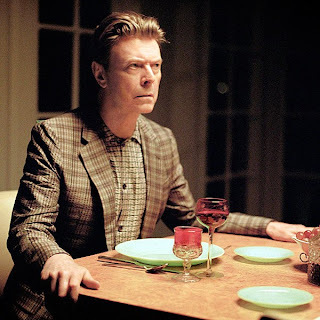 "The Next Day" is Bowie's seventh top 10 album. He last logged a top 10 way back in 1983 with the No. 4-peaking "Let's Dance." Until this week, Bowie's highest-charting album had been 1976's "Station to Station," which spent two weeks at No. 3. Earlier this week, Bowie landed his first UK number 1 album in 20 years with the new release. Will David Bowie tour in support of new album?